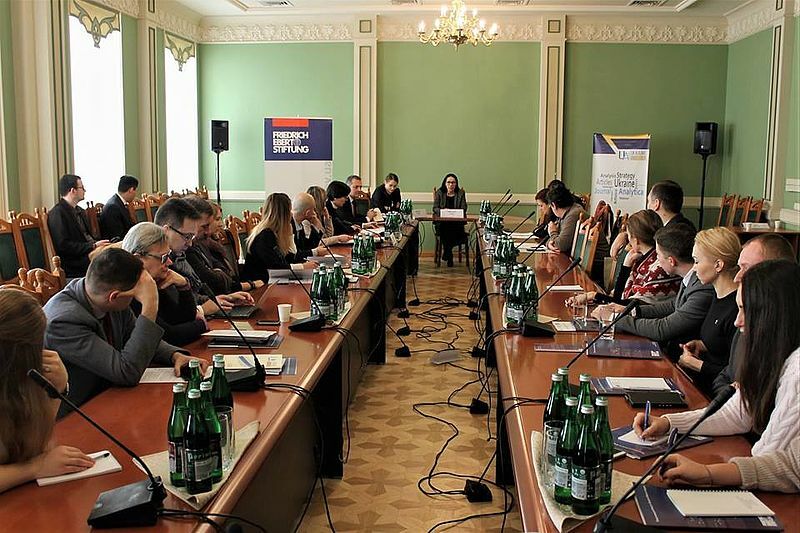 In partnership with UA: Ukraine Analytica and Hennadiy Udovenko Diplomatic Academy of Ukraine, the Representative Office of the Friedrich Ebert Foundation in Ukraine hosted the expert panel “Hard Talk: Ukraine’s Foreign Policy beyond EU and NATO”, taking place in Kyiv on 25th of January 2019. 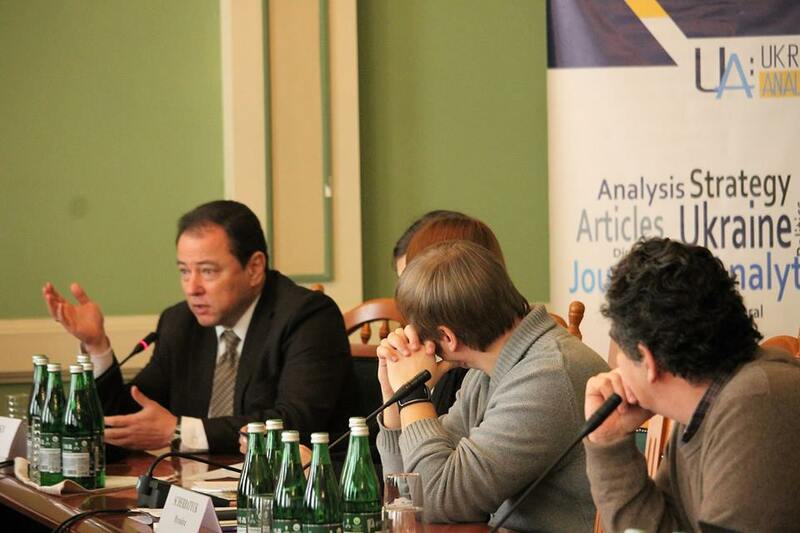 Two thematic panels set the frame for discussing the current state of affairs, as well as future perspectives of Ukraine’s foreign policy beyond EU and NATO. After thematic inputs by the experts, the present audience was invited to bring forward further questions and remarks. Myroslava Scherbatyuk, Director of the Middle East and Africa Department, Ministry of Foreign Affairs of Ukraine, opened the debate by describing current challenges and problems of Ukraine’s foreign policy apart from EU and NATO. Although there is no single plan or strategy, this policy is determined by several fundamental laws, including the Annual statement of the President of Ukraine to the Parliament, Export strategy of Ukraine, as well as statements on foreign policy of both President and Minister of Foreign Affairs. 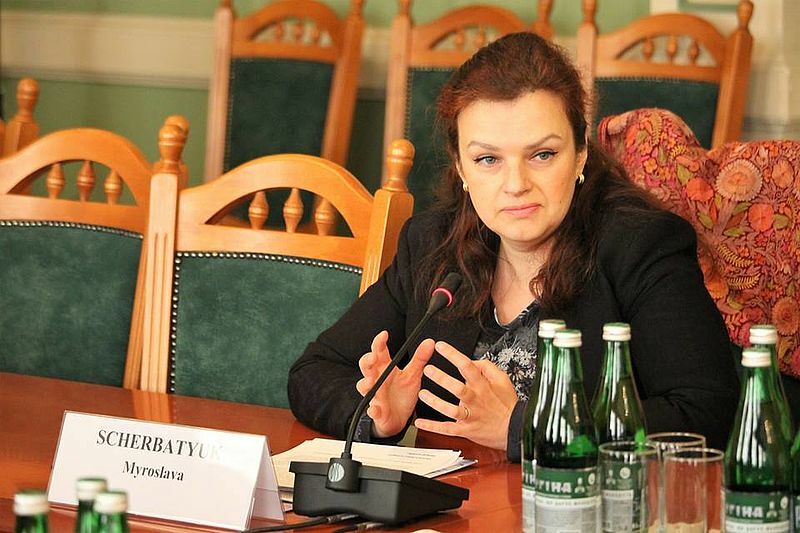 With regrets Ms. Scherbatyuk noted that Ukraine has only ten Embassies on the territory of the African continent, despite the existing potential fields of cooperation and the abundant human and natural resources available. So far, Ukraine’s main foreign partner in Africa is Egypt. The Middle East as an area of potential engagement of Ukraine is on the one hand facing security challenges, while on the other hand there is significant financial potential in some countries of the region. Ms. Scherbatyuk also stated that building up the international support to the territorial integrity and sovereignty of Ukraine belongs to the main political priorities of Ukraine in the region. Ukraine also aims at developing trade relationships to the region since the markets are compatible and a demand for Ukrainian commodities does exist. Already today some North African countries are recipients of Ukrainian investments, undertaken e.g. by the companies Nibulon and Interpipe. Presenting the ideas about possible ways to develop Ukraine’s foreign policy beyond EU and NATO, Balkan Devlen from Copenhagen University stated that it is necessary to establish a specific Ukrainian brand, based on a definition what the country is good at, and then promote this image in order to establish economic cooperation. 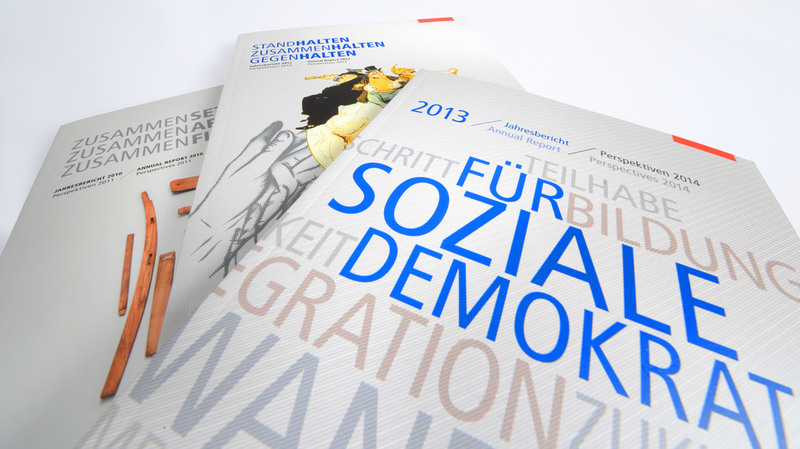 To be sustainable this strategy needs to be the result of a nation-wide conversation. China and Russia as regional powers exerting their influence in Central Asia and Eastern Europe were indisputably in the center of the discussion. Dr. Sergiy Korsunsky, Director of the Diplomatic Academy, stated that the mere presence of Chinese investments in the national economy would secure a country itself, since China always aims at securing its capital. Former advisor of the Georgian President (2014 - 2018) Tengiz Pkhaladze referred to his country’s recent agreement with Chinese investors as a role model for Ukraine, pointing out that even small countries are “more than a market” and indeed do have something to offer, even for large-size economic powers. In contrast, the statement that Ukraine as well as the Central Asian nations became obsessed with China and Russia was brought up by Daniyar Kosnazarov, member of Central Asian Digital Think Tank “Bilig Brains”. Recent political developments would force especially Georgia and Ukraine to search for new partners and accelerate a multi-vector foreign policy approach, which is surely a source of temporary uncertainties in the first place but could open up new perspectives and boost further progress in the long term. In this context, it was brought forward more than once that diversifying the national economy and shifting away from traditional export products is a challenge Ukraine is sharing with its Eastern neighbors and other Asian countries. Talking about diversification of political and economic ties, Tengiz Pkhaladze expressed the idea that Ukraine and Georgia should launch or participate to a greater extend in regional projects, which would raise their attractiveness for foreign partners compared to single country-driven projects. Having a clear overview of the current situation, consensus was reached that Ukraine’s foreign strategy should include a one-voice policy carried out by the government and a consistent policy approach independent of changing cabinets, as well as a strategic vision for Ukraine’s foreign policy. Experts also agreed that agriculture, IT, military technologies, and Ukraine’s transit potential are the most promising fields that a foreign policy approach beyond EU and NATO should target.